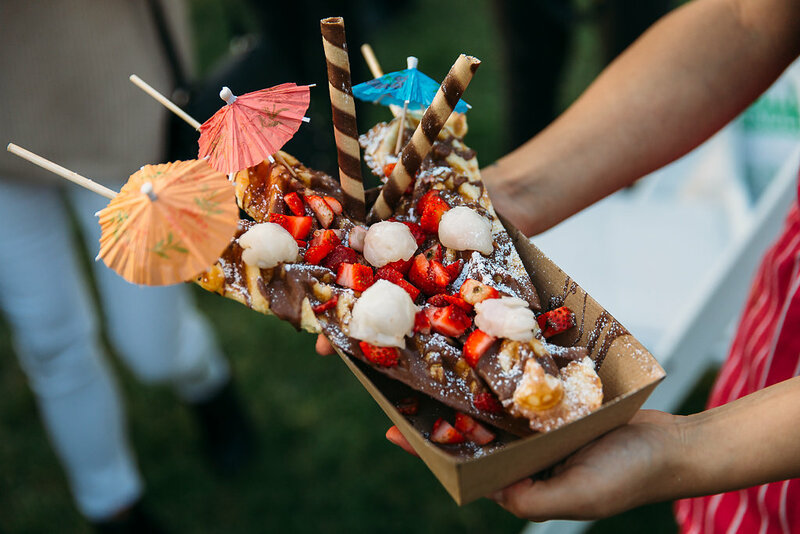 If you go berserk for dessert, then read on, because we’ve picked out our top five favourite delicious desserts that are available at the Perth Night Noodle Markets. Forget savoury, the sweetest of sweet treats are here to get your taste buds tingling, so try one, or better yet, try them all! We’ve just got to start with Gelato Messina, the undisputed supreme leaders of the gelato world. 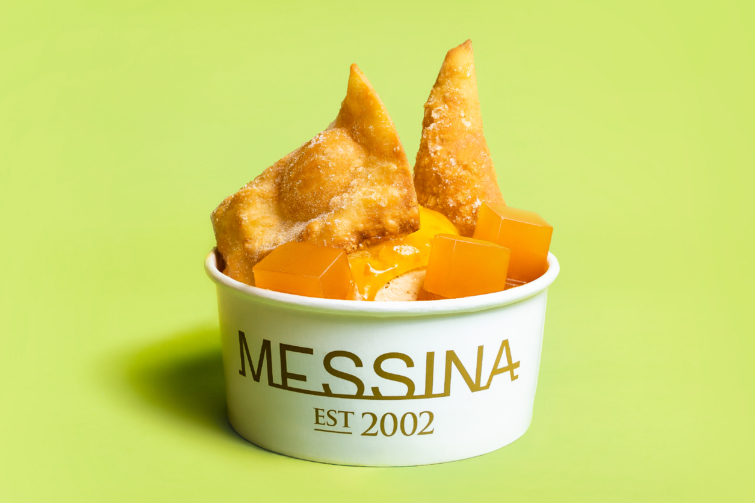 Gelato Messina’s entire Night Noodle Markets menu is inspired by the tastes of the Philippines, and we only have pies for this – the Filopieno. In our opinion, you won’t find a more delicious gelato dessert. Made up of condensed milk gelato, fried pie crust, peach jellies, mango salsa, mango chantilly and graham cracker crumb. If that doesn’t get you salivating for sweets, we don’t know what will. If you haven’t been swept up by the phenomenon that is raw desserts yet, then it’s time to get on board with these drool-worthy coconut and date balls from Fry’d. Raw and real ingredients are combined to form one tasty, bite-sized treat. Healthy and delicious, these raw ball desserts are real all-rounders. We love this sweet treat a waffle lot and we’re pretty certain you will too! The Dancing Dragon from Waffleland is a freshly baked waffle stick drizzled with melted chocolate and lightly coated in icing sugar. You can add extras like strawberries or ice cream, and really – you’d be crazy not to! Try one of these crunchy, chocolatey delights at the Perth Night Noodle Markets A-SAP. You’ll be waffley sorry if you don’t! If you’re after a so-fish-ticated Asian-style dessert, then look no further than the Taiyaki from Ninja Cuisine. Taiyaki, for those who are unfamiliar with the dish, is a Japanese fish-shaped cake filled with deliciousness. This particular one from Ninja cuisine is made of waffle batter (yum!) and lovingly filled with sweet Azuki beans. So cast your line and get hooked on this traditional Markets treat. We think it’s a real catch. Rounding out our selection of top desserts is this one from Fry’d and we’re pretty sure it will make you melt. We all know that ice cream is life, but what’s even better than ice cream? FRIED ice cream – and this fried ice cream is seriously next level! 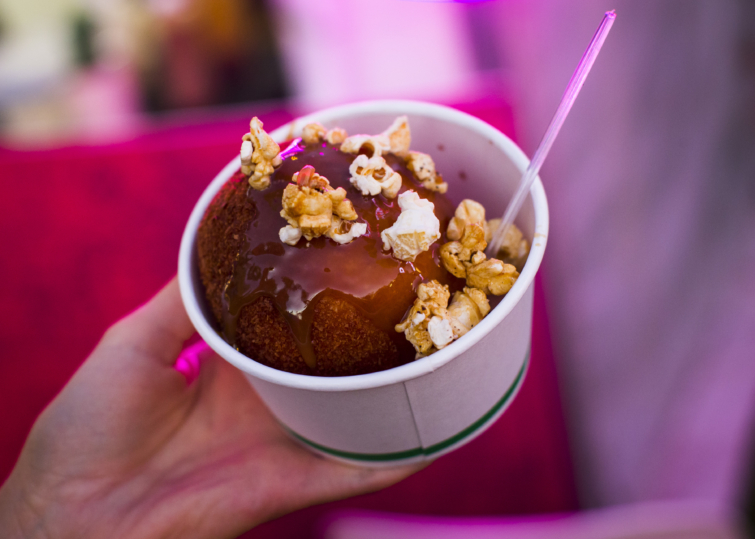 So here’s the scoop – a divine ball of creamy vanilla goodness is fried to perfection and smothered in a salted caramel sauce, then topped off with popcorn. And there you have it – we just fried and went to heaven. If your sweet tooth is aching after taking all of that in – head over the Perth Night Noodle Markets for some treat relief. The Markets are on until April 14 at Elizabeth Quay. Entry is free and stalls are cashless, so don’t forget your cards for all purchases. Keep up to date with all things Night Noodle Markets by joining the Facebook event page here and following us on the @goodfoodmonth Instagram account here.